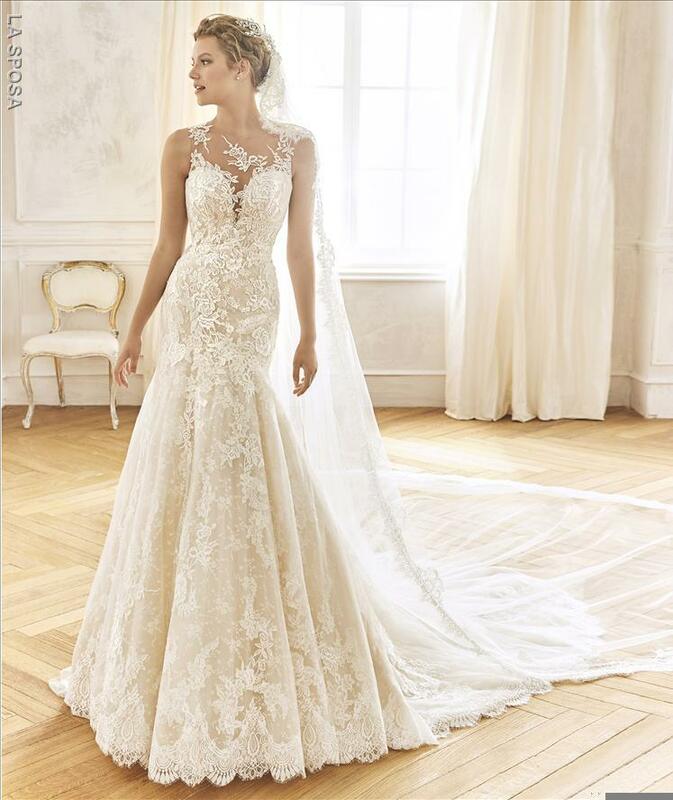 Details make all the difference in this wedding dress and give it meaning. It has a very sleek design, in a romantic style, with a very elegant sensual air! The mermaid skirt with fullness at the bottom is in tulle and lace with thread embroidery and rhinestone details. 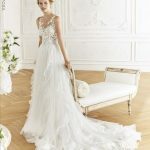 The bodice is also in tulle with thread embroidery and crystal sparkles. 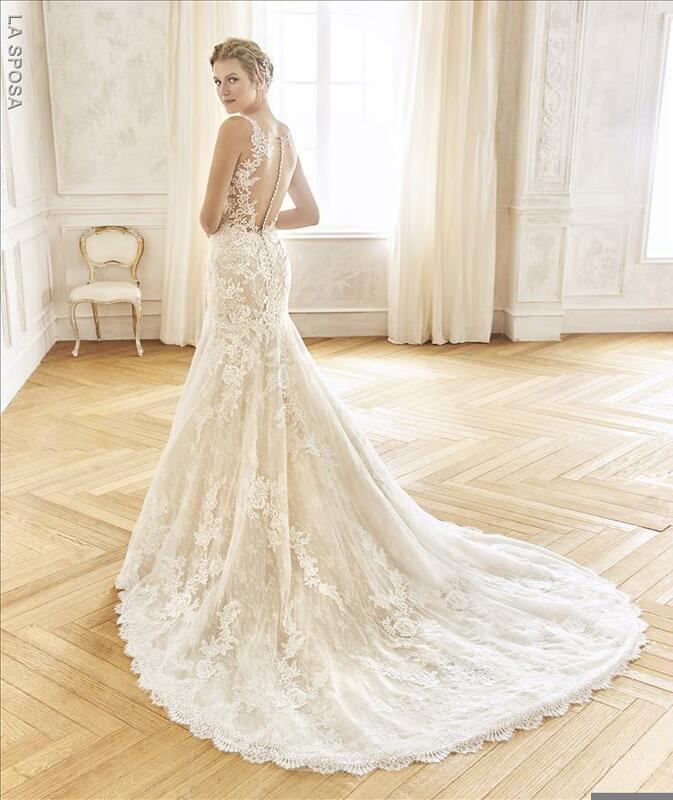 The illusion back, in crystal tulle, is scattered with thread and rhinestone embroidery, just stunning!